With a distance of 6 feet between heart and brain, giraffes should seemingly suffer the symptoms of hypertension as a result of their blood’s relentless uphill climb. They don’t. With a roadblock of a neck about 6 feet long and weighing a whopping 600 pounds, how do giraffes get blood dispersal from heart to brain so right? Researchers are looking into it. They hope revealing the secrets of the circulatory system of giraffes can help arm us humans with the tools to combat high blood pressure and cardiovascular disease, still the leading cause of death in the United States. This long stretch of circulatory real estate is covered by the efforts of a relatively small but powerful heart. 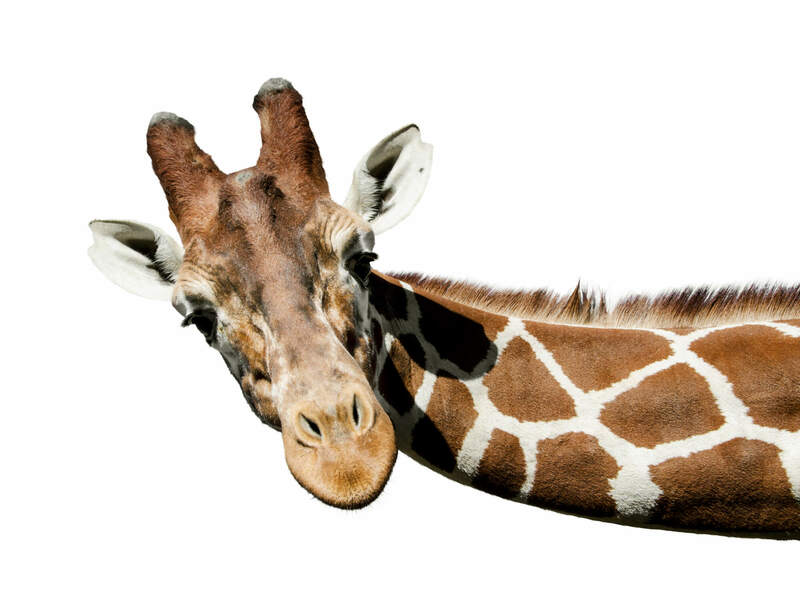 “The giraffe's heart must pump hard enough to overcome the huge hydrostatic pressure generated by the tall column of blood in its neck…,” wrote researcher Qiong Zhang, at the time at CalTech, in his published paper Hypertension and Counter-Hypertension Mechanisms in Giraffes. Harder pumping to get all that blood so far uphill results in very high blood pressures. In fact, an adult giraffe’s blood pressure can reach 300/180 millimeters, according to zoologists. That’s roughly twice that of an adult human. But that’s only near their hearts. In their heads, a giraffe’s blood pressure remains about equal to a human’s. And they maintain that lower pressure in their heads despite whether they are chomping leaves from the limbs of tall trees or sipping water at ground level. The reason? A giraffe’s large neck veins contain a complex system of valves that stop the blood from flowing backward and pooling when it dips its head, which can be a full 20 feet differential from upright in a full-grown giraffe. Humans would pass out if they tried that trick. In addition, thick blood vessel walls prevent leakage and shrink and expand to adjust to blood volume. Inflexible collagen fibers also help keep the blood moving, a bit like built-in compression socks or an astronaut’s space suit, which aids blood flow in shifting gravity. These fibers get thicker with age as a giraffe’s neck continues to grow, continuing to reinforce their checks on hypertension.